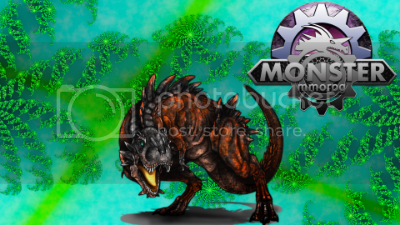 Monster MMORPG Game Official Forum » Official Forums » Idea Development » Night Monsters. I have a cool Idea, let me get your feedback on it. But only at night have some special Night Monsters that come out. Then you can make a Night Box that Increases there stats when you catch a night monster, with a night box. Let me get your all's feedback I hope Cef can Implement it. Monsters only obtainable at night without the need for transformation. It's okay but the game runs on various timezones and there would have to be an in-game clock that everyone would have to set on their own page. Without the clock, there is no real indication whether it's day or night in the game. Another indication for that would be darker shades of map to represent night time. Night box shouldn't increase the stat of monsters but should be a better catch rate for night monsters. They're just there for easier capture rate. Sparrowhawk I think that would be a great addition. (2016-11-07, 11:50 PM)FearTheDragon Wrote: I have a cool Idea, let me get your feedback on it. Quite an interesting idea. It would add a new element to the game and kind of prompt players to show some dedication to the game if certain monsters (perhaps even some zeniths, legendaries and ancients) they want only appear around night time as well as day. But as, SparrowHawk, suggested an universal/in-game clock would be important to have. I'm in no way a programmer or have the knowledge of one but I predict that trying to do this idea as well as keep the time-zone specific clocks we have would make this suggestion impossible to execute.